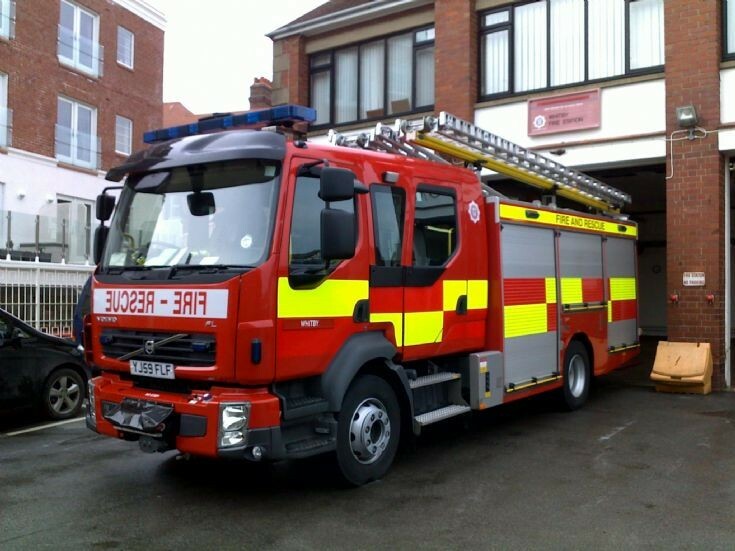 North Yorks FRS Rescue Pump YJ59FLF is based at Whitby day-crewed station and uses the national call-sign "FDN77P3". This very smart Volvo FL appliance is bodied by JDC and pictured here on Tuesday 23/03/10 outside a rather cramped home station. hi,how many pumps dose whitby have please. Added by Mark Whiteley on 31 March 2010. Whitby is a single pump, day-crewed station. Added by Yelp Bullhorn on 01 April 2010. Added by Mark Whiteley on 01 April 2010. Added by Peter Bromley on 02 April 2010. Hi, Do you have a full list of North Yorkshire Callsigns? Added by Peter Davies on 16 December 2015.